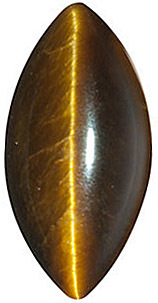 Honey Tigerseye Gems in Oval Cut Grade AAA This Natural Honey Tiger Eye Gemstone in the AA Grade, Displays a Unique Golden Honey Color, With a Good Cut, Good Polish and Medium Dome. 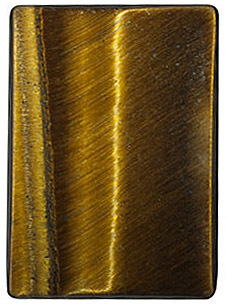 This Tiger Eye Gemstone Has Undergone a Treatment Called "Bleaching" to Lighten or Remove a Gemstone's Color. The Exotic, honey-tinged color is only one of the charms of Tiger�s Eye. 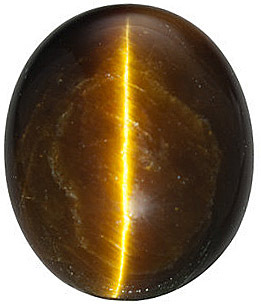 When cut in a cabochon shape, this unique gem flashes a beam of light that resembles the eye of a jungle cat, displaying the optic phenomena called �Chatoyancy�. Its golden warmth and rich luster are prized by those who seek the mysterious and unusual in their jewelry. Popular with both men and women, Tiger�s Eye offers the exotic appeal of a tribal relic or personal talisman. It is said that Tiger�s Eye has the ability to protect its owner from harm and to assist in thinking clearly. Its power�primitive yet sophisticated�is unmistakable, whether set traditionally in gold or hung on a leather cord. As an eco-toned color, the richness of this gemstone is certain to satisfy fashion-conscious consumers who desire chocolate and honey hues as accents to their favorite styles. 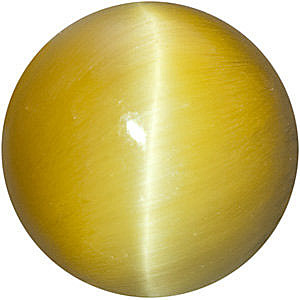 Tiger�s Eye Gemstone Facts Tiger�s Eye is a member of the Quartz family of gemstones. 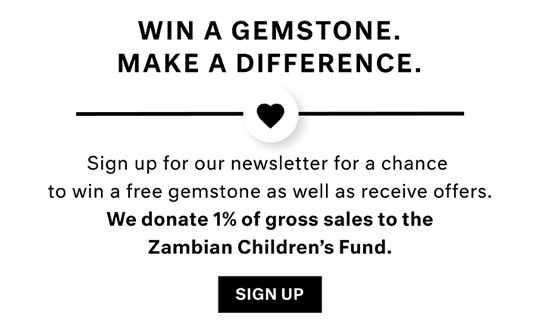 The most important deposits are found in South Africa, though Tiger�s Eye is also found in Western Australia, Myanmar, Sri Lanka, India and the United States. Tiger�s Eye gemstones have undergone its traditional enhancement process and are relatively hard gems, earning a rating of 7 on the Moh�s hardness scale. 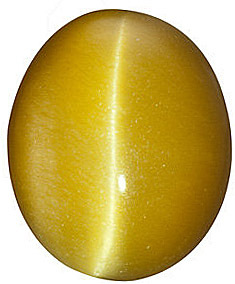 AfricaGems carries the best selection of gem-quality Tiger�s Eye in two fabulous colors: Honey, which is a beautiful warm golden hue, and Brown, a hazel-nut, chocolate color. 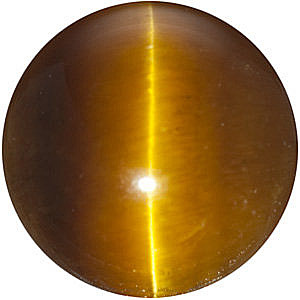 All of the calibrated Tiger�s Eye gemstones are in stock and ready to ship.